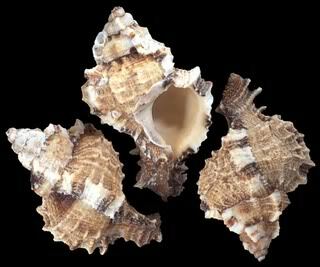 This Preferred Shell Guide was created from the feedback of members from the hermit crab forums. The info was collected by myself but would not be able to be done without the input of you all. Thank you! Every crab is different, however I've collected information on how many crabs are in certain kinds of shells, to conclude what shells are a favorite with certain species, and what are not. I hope this guide will help you having a better idea in what types of shells your crabs would like. 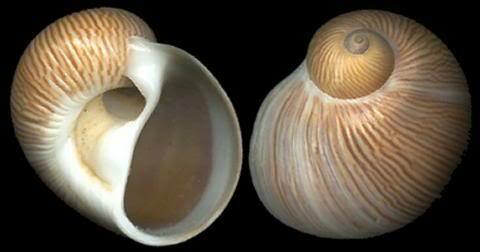 Your one crab might hate one of these shells, but another of your same species might love it. Some species have more data collected then others, but you should still be able to find what you are looking for. 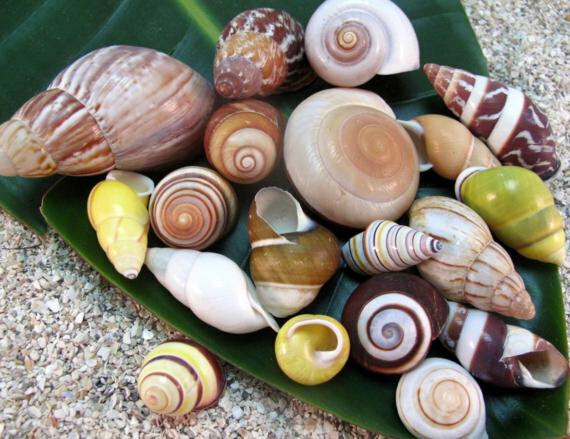 So without any further waiting, the shells under each species heading are the shells that the certain species of land hermit crab seems to like, most popular are listed first however all the shells listed have made the cut to be considered a preferred shell of that species. 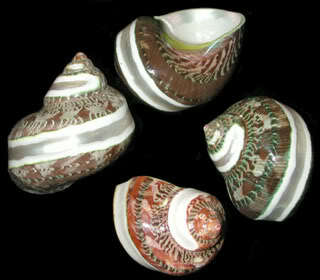 -Commercially sold ones often do not possess the super smooth interior, the specimen shells are better quality. PLEASE READ THE WORDS in addition to looking at the pictures. PLEASE. I'm not saying "don't buy these and don't offer them to your crabs" It's more like I'm saying, "hey, I've noticed crabs don't like these shells as much as others, and here are the likely reasons why." You can offer your crabs any shells you want. These are just the dislikes I've noticed. This is a basic guide. It's made to help you save money and better understand what your crabs are looking for in a shell. 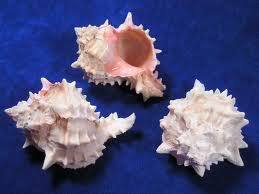 Many places that sell hermit crab shells often carry shells that our hermit crabs cannot or will not use. This is often something you have to learn by observing your crabs and their shell preferences, but it will save you a lot of time and money to read this article to get this knowledge before going shell shopping. When I first started keeping crabs, I bought all the wrong shells and was so frustrated that places would even sell these shells for hermit crabs when it was so obvious later that the shells were no good. 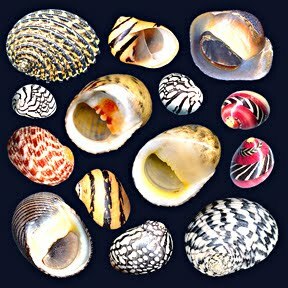 In this guide I will cover a few specific shell species to avoid, as well as general characteristics of shells to avoid. There will ALWAYS be exceptions to these rules. Somewhere, someplace, somebody will have a crab occupying a shell I specify as "inappropriate". But in general, these rules will be true. 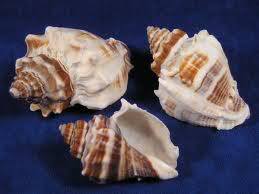 Use your best judgment and put a lot of thought into buying shells BEFORE you do so, as they can be very expensive. 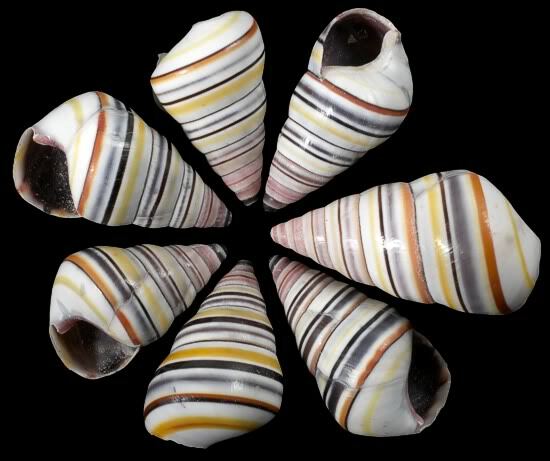 These shells can be exceptionally beautiful and look very similar to turbo shells, which are popular with many terrestrial hermit crab species. They even have a round opening! They come in colors ranging from black to purple to pink to red. 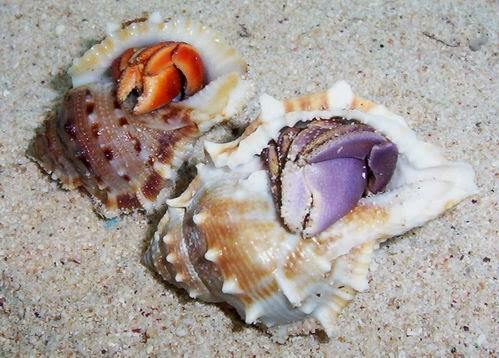 But these shells are rarely taken by hermit crabs for a few reasons. One big reason is that the opening in proportion to the space inside is too small. A crab that has a big enough abdomen for the space inside will have a very difficult time adjusting to the snug fit of the opening. It doesn't widen at the opening like a turbo shell does. 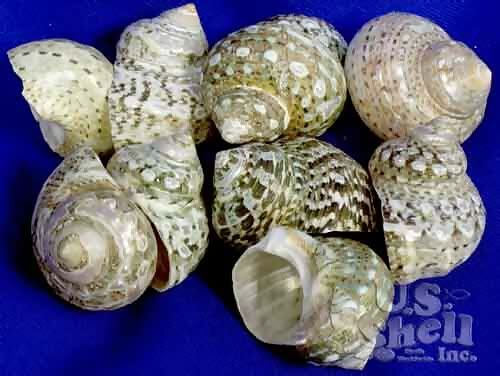 Watch out, sometimes these shells come in pearled form and are harder to recognize. I debated putting gold mouth turbos on this list. They are one turbo my crabs have never liked. 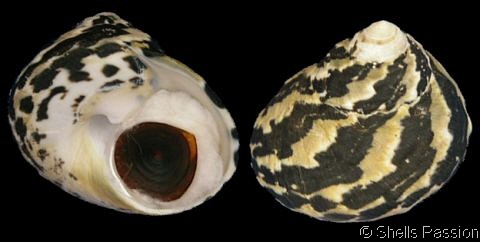 Hermit crabs will wear these, but they much prefer other turbo species. One reason these turbos are not favorites of crabs I think, is because they are very thick. 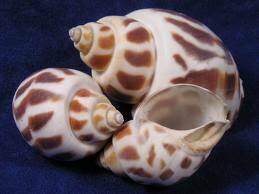 This makes them much heavier in proportion to their size, so the crabs have to spend more energy wearing these shells compared to other, lighter turbos. 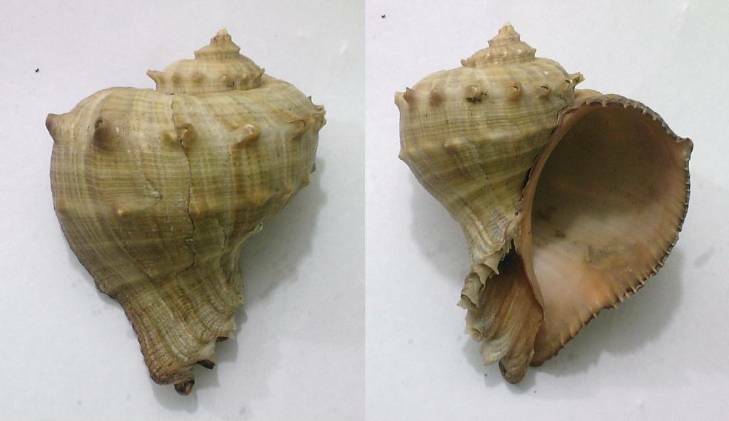 This shell is usually only sold in large sizes, and the opening is very large in proportion to the rest of the shell. It is also very spacious inside. Because of its spacious inside and opening, it takes a very large crab to fill it. 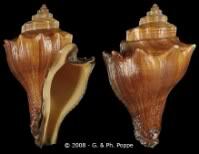 But the opening is strange shape, so larger crabs will rarely take these shells. Some of them can be very thick and heavy. 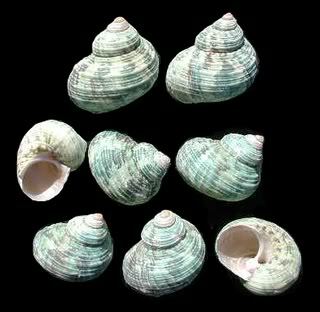 These shells are popular among wild Coenobita clypeatus, but in captivity, they rarely choose these shells over other turbos. 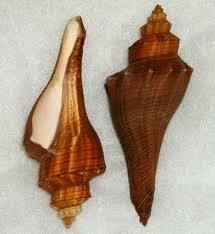 They are very heavy, more cone shaped than other turbos, and have a strange opening shape. Cross sectionally, the opening is round, but one part of the opening stretches farther down the shell than the other part. 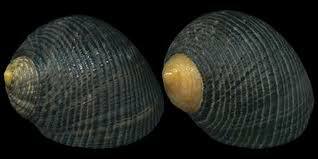 These are usually only taken by smaller crabs, but are not well liked because of the long opening and flatness of the shell. 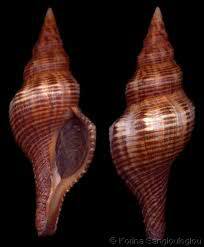 However, both Coenobita purpureus and C. violascens have been know to choose this type on occasion. 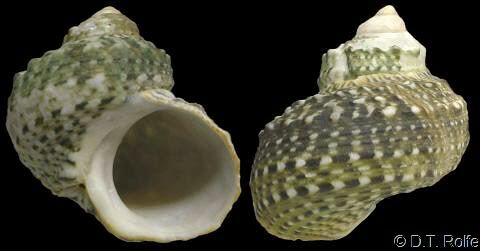 Nerites come in many colors, and are usually very small in size. The maximum opening size will be a little less than an inch. 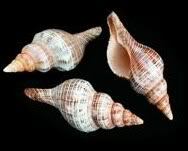 Some small hermit crabs in the wild (namely Coenobita compressus) will occupy these shells, but the shells have been heavily modified over the years by the crabs to fit their bodies. 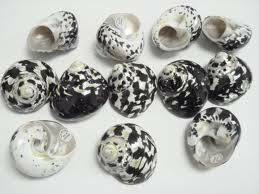 If given the choice, hermit crabs will almost never choose any unmodified nerite shell. 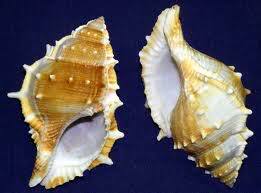 They only choose these in the wild because of lack of other shell species, fierce shell competition, and because the crab may be small enough to fit relatively comfortably. Nerites also have a ridge and teeth in the opening, which crabs do not like. 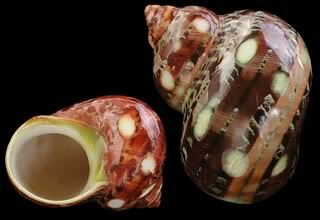 When polished, this shell, in my opinion, is the most beautiful you can buy for your crabs. Unfortunately, it is not well liked. The interior and opening is very spacious, and it takes a big crab to fill it. It is also a bit thinner and more squat than other turbos. Even though it's not very common for crabs to wear these shells, it does happen. So if you're like me, and marvel at the beauty of this species, it may be worth it to buy one just in case. 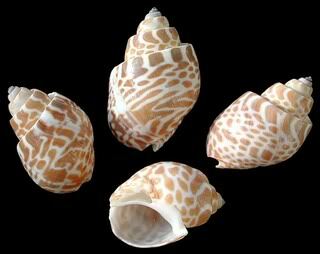 These shells are very attractive and look somewhat like turbo shells. They often come in green and red, but other colors do exist. 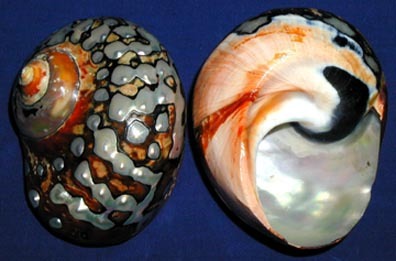 Some hermit crabs in the wild (especially the young ones) will sometimes wear these shells. 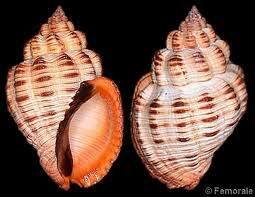 But in captivity, they prefer other types, and will rarely go back to this genus if given the choice. The spiral goes up instead of to the side, and sticks out quite far. 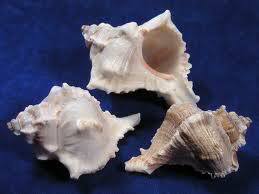 The shells are also very thick, heavy, the openings are small, and there are often ridges in the opening. The crabs will spend a lot of extra energy carrying this shell, only small ones will fit in the opening, and the ridges will prevent most crabs from changing into them. 9.) 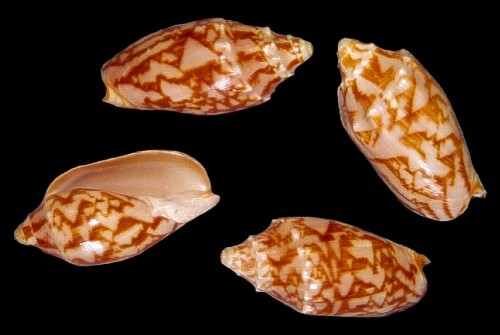 Shells with slit openings. 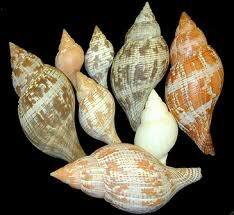 Including but not limited to: volute, cypraea, oliva, many conches, conus, strombus, etc. These slit openings are easy to recognize and avoid. 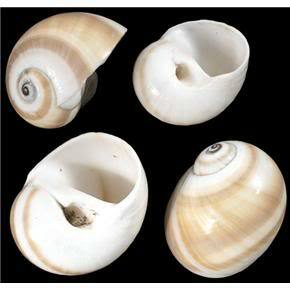 The shells are often very attractive, but terrestrial hermit crabs cannot fit in these openings. In rare occasions, it does happen, but the chances are very small. See the sharp teeth in the opening? 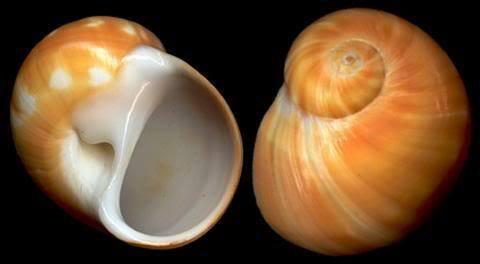 Terrestrial hermit crabs will very rarely choose shells that have this characteristic. 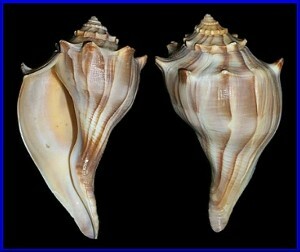 Some species of shells with smaller teeth or ridges compared to the opening are acceptable and even preferred, however. 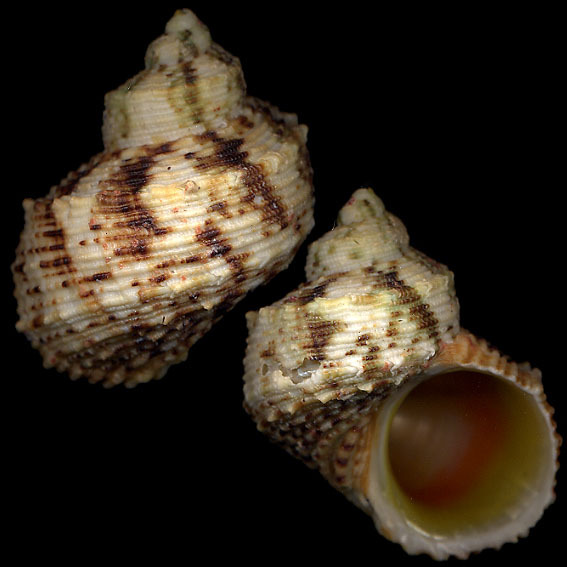 Some terrestrial hermit crabs in the wild (namely Coenobita violescens) will sometimes occupy these types of shells, but do not usually prefer them when given a choice. They have a lot of extra space/weight that is not usable to the crab. 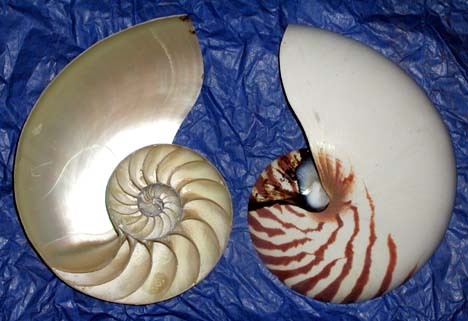 Nautilus are actually not gastropods, but are in fact, cephalopods (related to octopus). 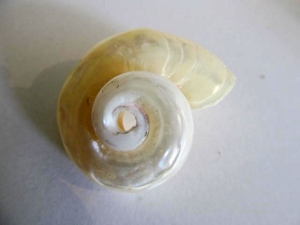 The outside of the shell may look like a gastropod shell, but the inside has many chambers which would make it nearly impossible for a hermit crab to hang onto. Plus, they are usually sold when they are very large so no crab would fit. 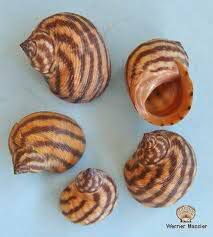 This is not dismissing all land snail shells. 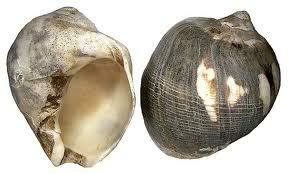 There are thousands of species of land and freshwater snails, and some are native to our hermit crabs' wild range. 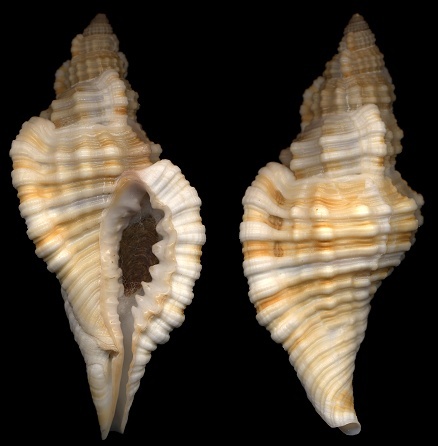 There are a few species of these non-marine snails commonly sold that our crabs do like to wear, but in general, they are not as popular as marine shells. 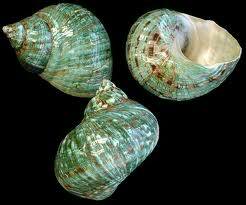 The will most often be much thinner, so more prone to breaking, and more prone to be eaten as a calcium source rather than used as a shell. 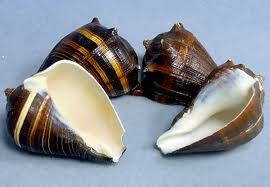 I once spent over $20 on a few land snails shells only to have my biggest crab, Godzilla, eat most of them. 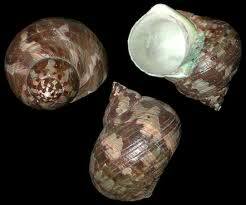 Some species of non-marine snails that our hermit crabs may like are: grey/cherry/green land snail (Pomacea canaliculata), Japanese land snail (genus Achatina), and candy cane snail (Liguus virgineus). 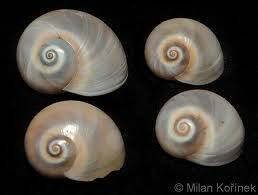 Sinistral shells are shells which spiral the opposite way. 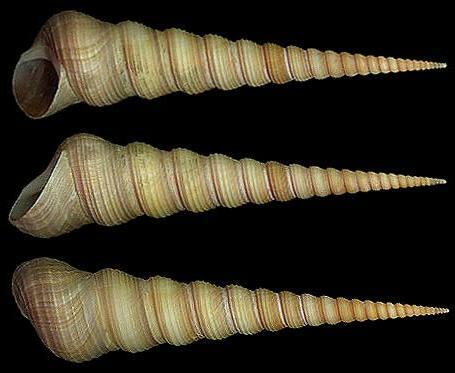 There are only a few types of snails that do this, but one, the lightning whelk (Busycon contrarium) is often sold as a hermit crab shell. 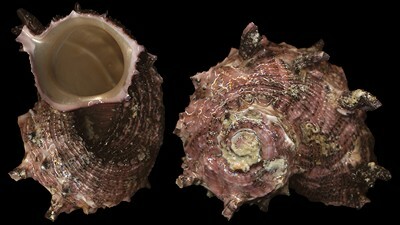 When a terrestrial hermit crab takes its first shell as it emerges from the ocean, that first shell will determine the direction that its abdomen will curl, and which claw is the big claw. 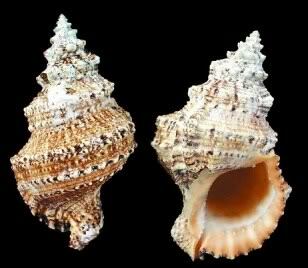 Since shells of the world are overwhelmingly dextral (spiraling "normal" direction), most hermit crabs will only wear dextral shells. 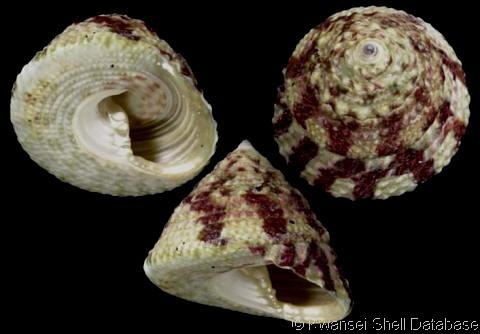 There are cases of some sinistral shelled hermit crabs, and some cases where the hermit crab was actually able to switch between dextral and sinistral (see bottom of article for links). 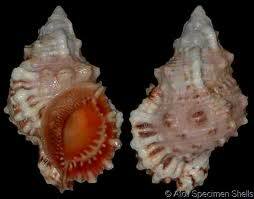 But in general, sinistral shells will not be taken by any dextral hermit crabs. If the crabs switch, their abdomen will start to curl the other way, and their big pincher and little pincher will switch sides over the course of a couple molts. 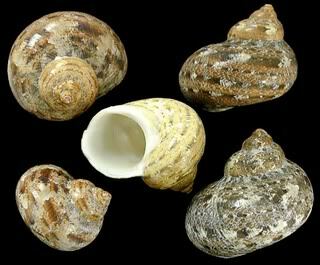 Fossil shells are more commonly used by wild hermit crabs than one would think, but they should not be provided in captivity. 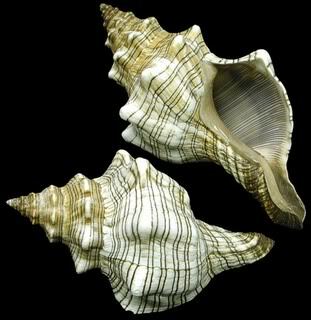 They are much more brittle than unaltered shells, and much heavier since the original shell material is often replaced with other minerals. 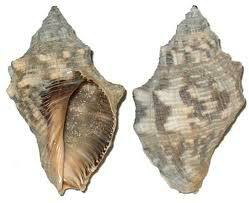 There can also be compacted sediments or rock deep in the shell, making it that much heavier. 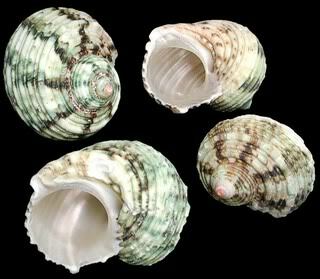 Also, there will be no mother of pearl lining on the inside of the shell, so will be more uncomfortable on the crabs' abdomen. 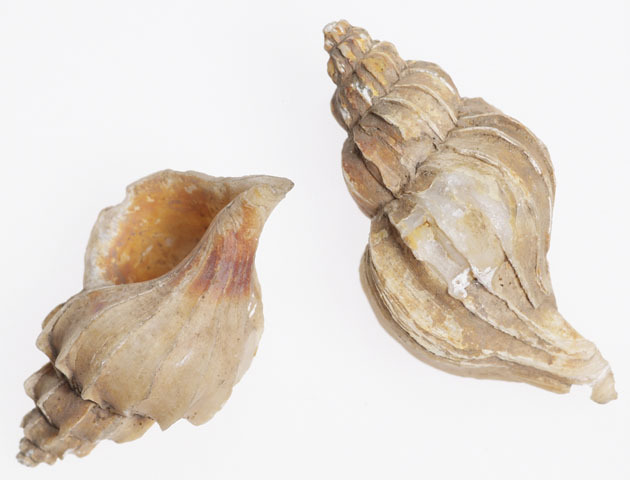 Sometimes, it can be hard to spot a fossil shell, but in general, it will be flaky/powdery, dull colored, oddly stained, no longer smooth inside, heavier than normal, and maybe look like it has been replaced by minerals. You probably won't have to worry about acquiring fossil shells unless you get them unknowingly from estate sales, garage sales, eBay, the beach, etc. 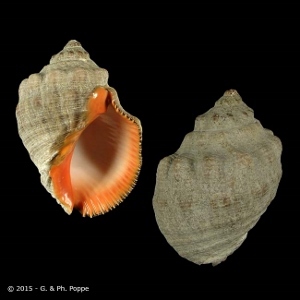 Normal hermit crab stores will not have fossil shells. 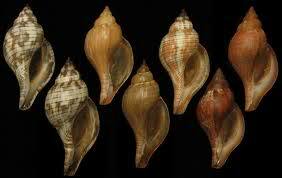 If you can think of another shell species or type that I have not listed, please feel free to suggest it. I may have forgotten some. I didn't include painted shells because I think that's a given already, and the reasons why to not use them takes up several pages and is very complicated. lol. Also, if you spot obvious grammar errors or similar, please let me know. I'm a horrid proofreader.